Staying in Tuban is a smart choice for those who want to be close to the airport and enjoy a great beach stay in Bali. Tuban is close enough to the vibrant nightlife of Kuta but far enough to not be in the middle of it all. With the Discovery Mall as a great shopping escape and the waterbom park just minutes away, Tuban makes a perfect stay for many! You won’t find a relaxing beach holiday closer to the airport than this. 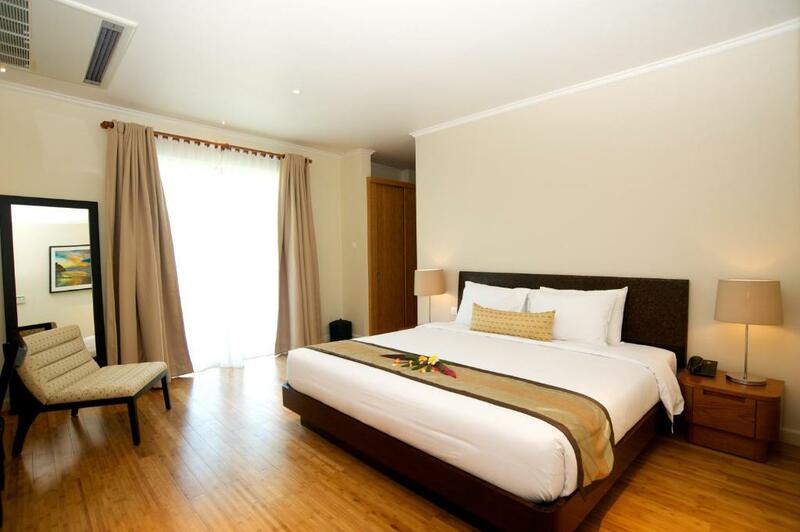 The rooms of The Patra Bali Resort & Villas are spacious and clean, and the staff are always helpful and very friendly. With the beach right on your doorstep and a large pool in the beautiful gardens this hotel guarantees a nice relaxing holiday. 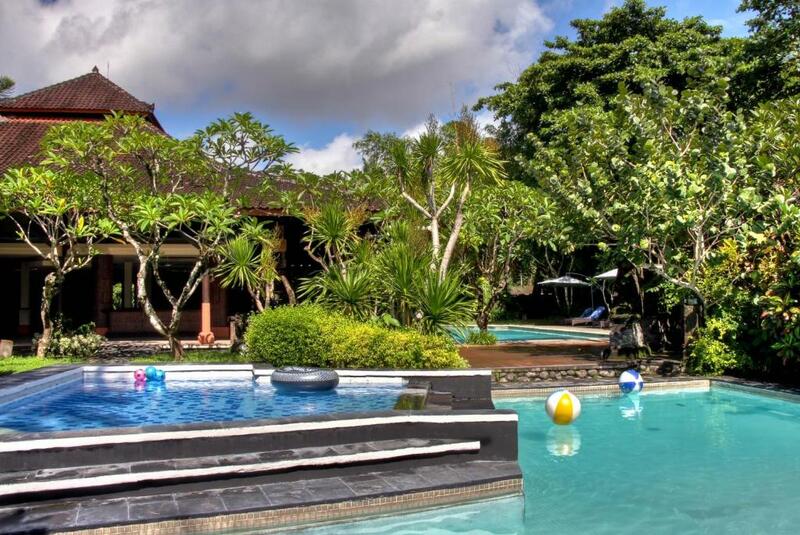 When traveling as a couple or with your family then the Bali Dynasty Resort is a great choice. 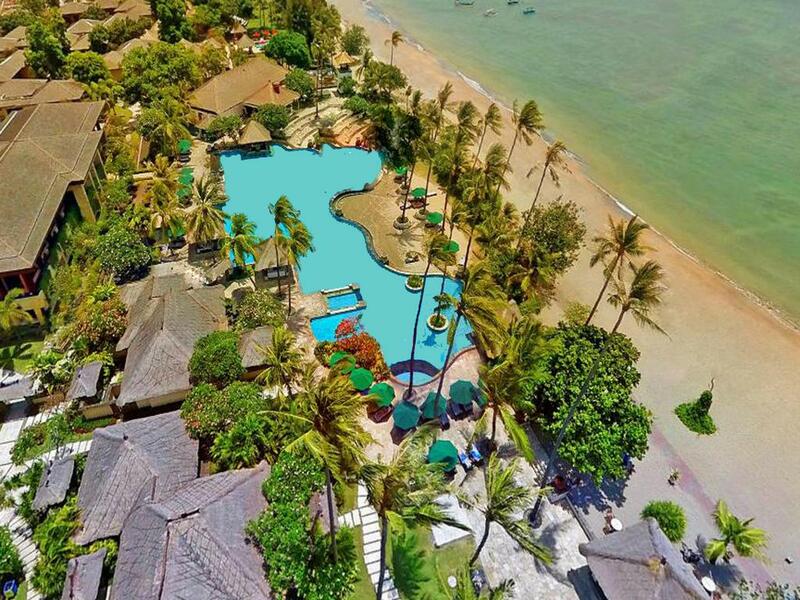 With the beach right at your doorstep, 2 pools with an amazing waterslide of 56 meters, 6 restaurants to choose from and 5 bars you actually won’t even want to leave this Bali resort. Good to know that this beach resort offers family rooms that accommodate up to 5 which is not common in Bali. This makes it the perfect family getaway! Kuta is where it’s at if you’re after the hustle and bustle. It all started in this beach town which outgrew itself to one of Australians most visited beach destinations. The nightlife never bores, the beaches are wide and appealing, the surf is a bit crowded but great and the variety of restaurants goes from fantastic local eateries to great culinary experiences. 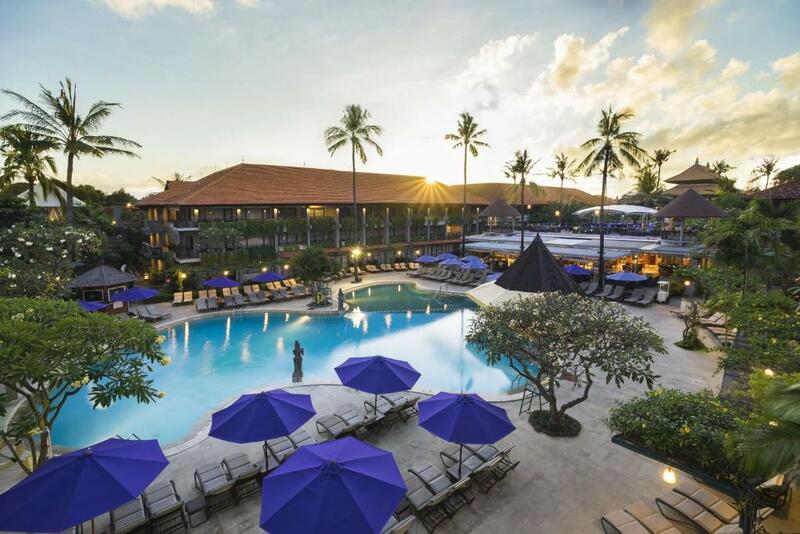 The best Bali resorts in Kuta are often just a few minutes away from the beach which makes that the prices are generally a bit lower compared to the beach hotels in, for instance, neighbouring Legian. Our favorite stays in Kuta are locally owned boutique resorts that provide an authentic Balinese vibe which makes you feel right at home. With a distance of 100 meters to the beach, the Amnaya Resort Kuta might not be a front beach hotel, we do feel it’s worth your attention. This is a place where everything just feels right. The staff are super attentive, the rooms are spotless and have a great vibe, breakfast is exceptional, and the location is great: walking distance to many great bars, restaurants, shopping malls and of course, the beach! Imagine staying in a small authentic Balinese village with all the comfort you could ever wish for. Alam Kulkul boutique resort is modeled after a local village and has that great welcoming vibe that you expect from Bali. 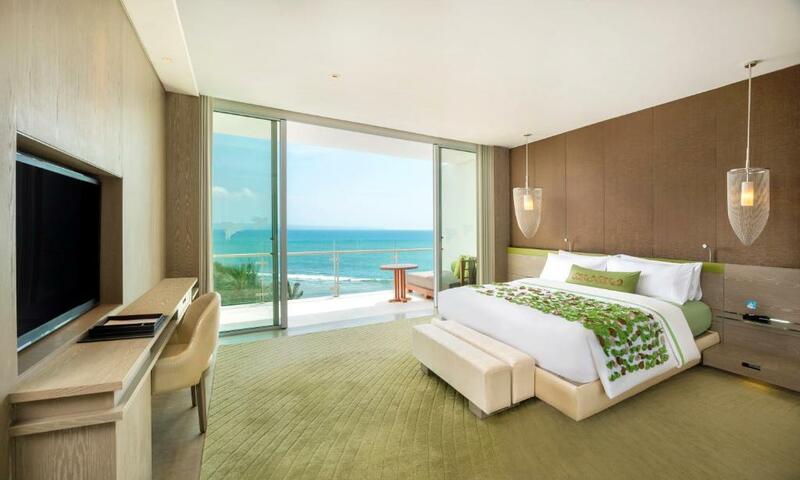 With two swimming pools, a relaxing spa, the beach just a few steps away and a delicious breakfast this might be the best option for your stay in the heart of Kuta. When you go north of Kuta you will walk right into Legian. Legian is the bridge between Kuta and Seminyak and you’ll find the best of both beach towns here. Great restaurants, amazing beaches and a vibrant nightlife! The Legian Beach hotel is an old time favorite for many. A 4* beach hotel with super great ambiance. Your expectations will be met in every aspect. This Bali beach hotel makes a great escape for couples looking to retreat, relax and enjoy all the good things Bali has to offer. 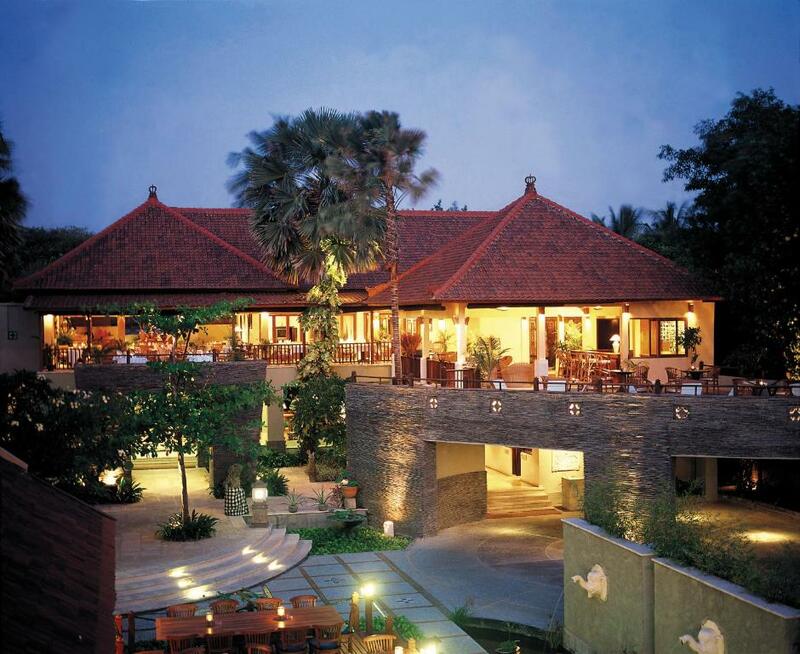 With only 28 rooms, Anantara Vacation Club is a small beach hotel. Next to amazing staff, it has just about anything you could wish for. The rooms are quite spacious and the beds are very comfy. Its location is perfect: right at the border of Jl. Legian and Double Six. This means great surf right at your doorstep, endless shopping possibilities and immediate access to some of Bali’s finest restaurants. We love Seminyak for all kinds of reasons. The beaches are great for surf but also to enjoy great sunsets after yet another perfect day in paradise. If shopping is your thing, well with such a great variety of unique boutique shops we promise you; Seminyak won’t bore you! For foodies Seminyak is a true paradise. We offer three awesome food tours in Seminyak: cocktails Seminyak, a food tour along some of the best Seminyak restaurants and, our personal favorite, the ultimate Seminyak culinary experience. With our food tours you will be sure to get a little taste of all the goodness Seminyak has to offer. But first, where to stay in this trendy beach town? 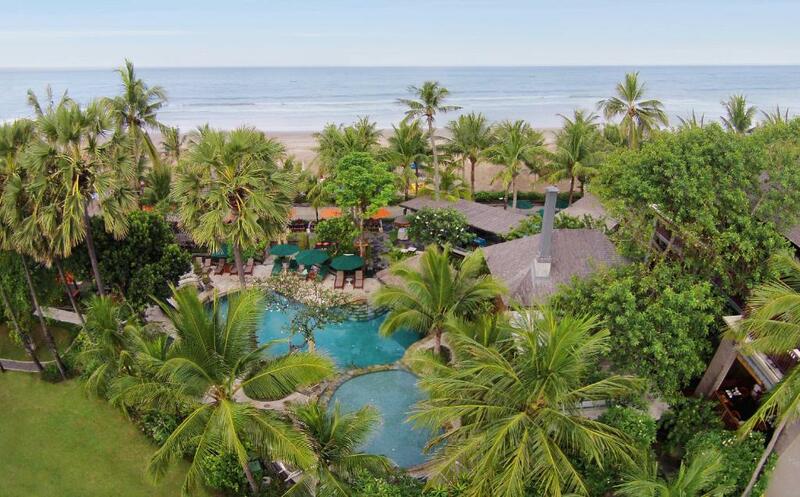 We selected our all-time favorite beach resorts in Seminyak for you! 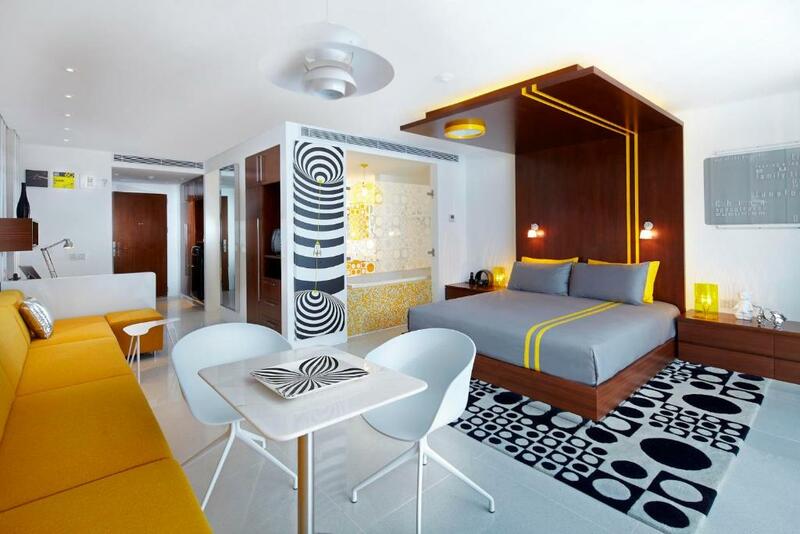 The funky studios of Luna2 Seminyak by Premier Hospitality Asia make an awesome hideaway. 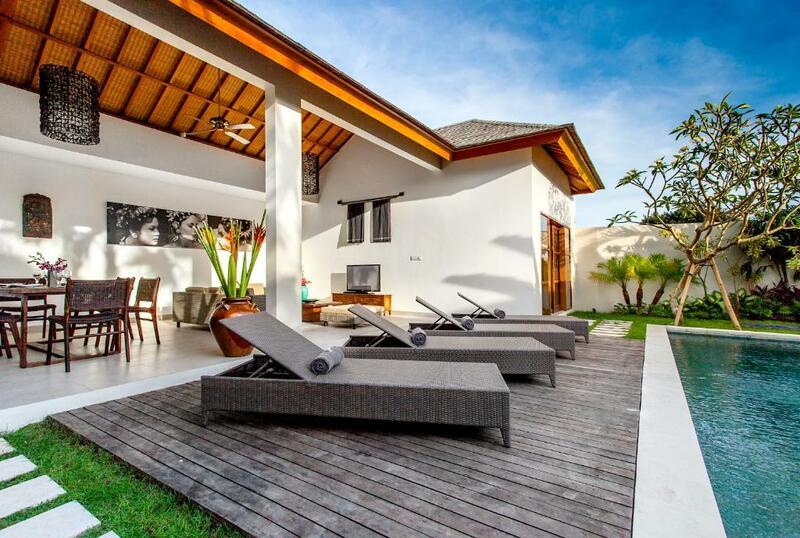 This small boutique beach hotel is perfect for couples looking for a reasonable priced get-a-way in Seminyak. The beach is only a short stroll away and the rooftop bar is fantastic for sunset drinks. With Ku De Ta right next door and the best burger place on ze island just a few meters away (Wacko burgers), you can’t go wrong with this pick! If you’re looking to go all out and upgrade your Seminyak stay to one of those fancy pancy places, we definitely recommend W Bali. Seriously, this place is a little paradise in paradise. The rooms are super comfy with great sound systems and comfy beds. The locations in spot on, right on Jl. Petitenget where you’ll find the best boutique shops and greatestbeach bars and restaurants. A stay in W Bali is high end luxury with everythingthat comes with that. High end luxury is not everyone’s style, we get it. For those seeking a Bali beach resort with a more traditional touch at a good value we recommend a stay at Grand Balisani Suites. The location just outside the center of Seminyak and right at the beach. Perfect if you’re looking for a relaxing holiday close enough to the hustle and bustle to tap into it whenever you please. The apartments of Echo Beach Villa and apartments are a fantastic choice if you’re looking for a place where you don’t always want to be eating out. The apartments are fully equipped and nicely decorated. 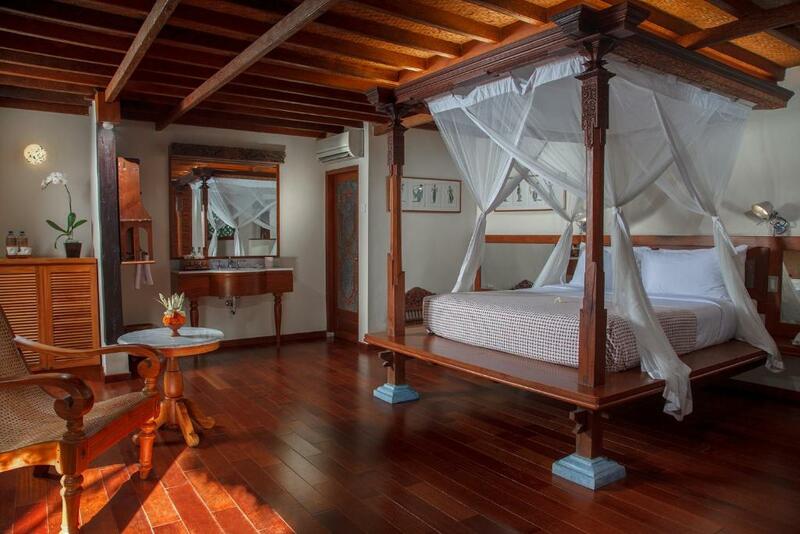 If you’re traveling with your family, the 3-bedroomvilla is superb. The vibe of the place is great and with your own private pool it’s easy to really relax and enjoy your holidays in Bali. Nusa Dua is great for those who seek nothing more than a super relaxed beach holiday in a beautiful resort or beach hotel. This beach town has the reputation to serve families and couples like nowhere else on Bali. You’ll find nice family style resorts and luxury beach hotels that are perfect for honeymooners. If you do want to get out and explore the island for one or two days during your stay in Bali, then Nusa Dua is great for that as well. The toll road will lead you right around the heaviest traffic areas and straight land inwards. Perfect if you’relooking to explore Ubud for a day! 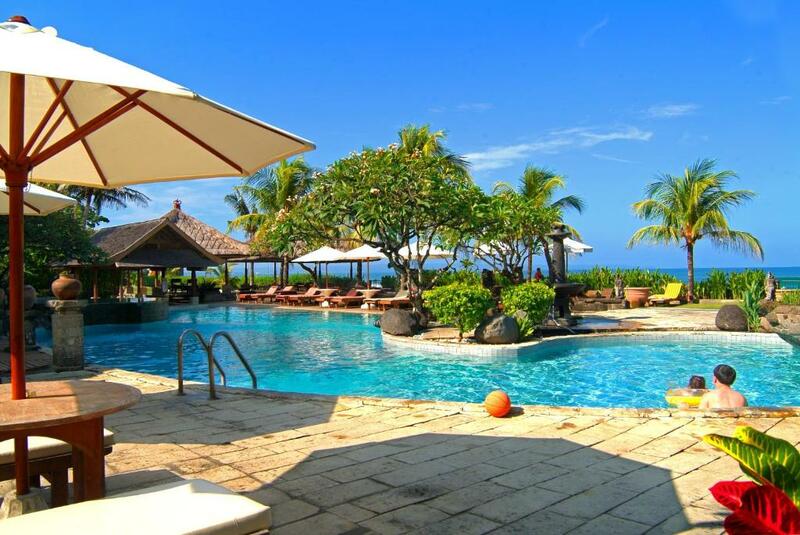 The Ayodya Resort Bali is a true Resort. With 591 rooms you can be sure to get lost at least once or twice. 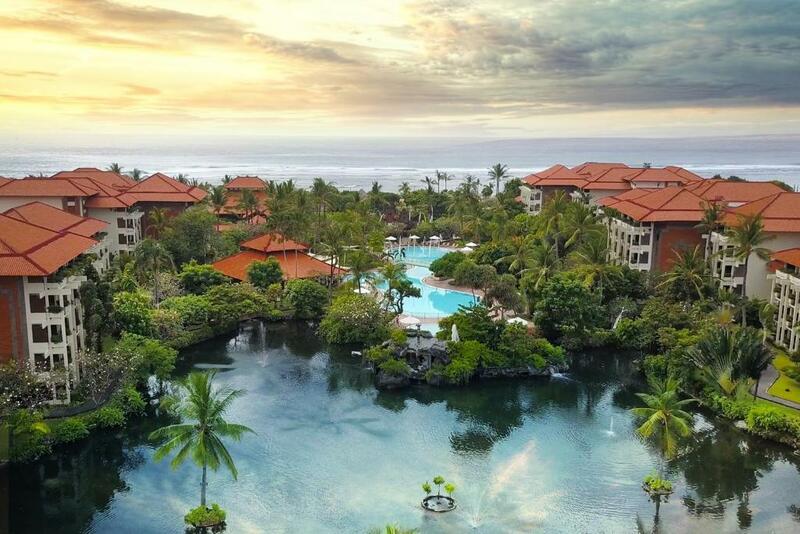 The tropical gardens, white sandy beaches, amazing pools, and many great restaurants are reason enough why you just don’t want to leave the premises. You have everything you need for a relaxing holiday. Sanur is often overlooked by many as for nightlife, there is not much going on. In terms of watersports, this beach town has a lot to offer though. If you like to be active during your holidays, prefer great sun rises over sunsets, want to be perfectly located for day trips to explore the island and love to try out local food: Sanur is your pick! Read all about things to do in Sanur, Bali. Tandjung Sari is by far the nicest place you’ll find in Sanur, hand down. The traditional Balinese bungalows are spread out in a tropical garden. The hotel restaurant is right at the beach and is the perfect spot for a great diner with your feet in the sand. Everything just fits in this hotel, from the super friendly staff, to the delicious food and from very atmospheric bungalows to a great beach location. 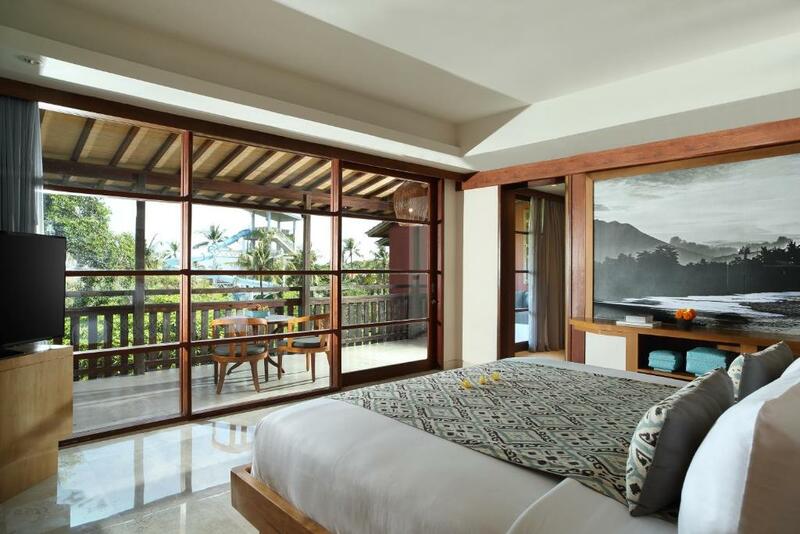 If you have a little less to spend but still like that great Balinese atmosphere and a stay right at the beach, Peneeda View is your pick. The bungalows are cozy and spread out in the garden and around the pools, some even have ocean view. There are many great restaurant options around the hotel. If you’re traveling with kids, the family suites are just perfect! Try out our awesome mystery food tours! We can’t let you fly off to Bali without bringing our unique and delicious food tours to your attention. Let yourself be surprised by the amazing local food and join our Bali street food tour where our experienced food guides will take you to the local spots for the best Indonesian and Balinese dishes. If you like a nice romantic evening out with a great variety of fusion dishes, stunning sunsets and great venues check out our ultimate culinary experience in Seminyak that guides you along some of the best Seminyak restaurants or our Jimbaran tour which shows you culinary highlights in some of the best Jimbaran restaurants.